I am continuing to enjoy photographing the camellia blossoms that were zapped by the cold and instead of white look bronzed. 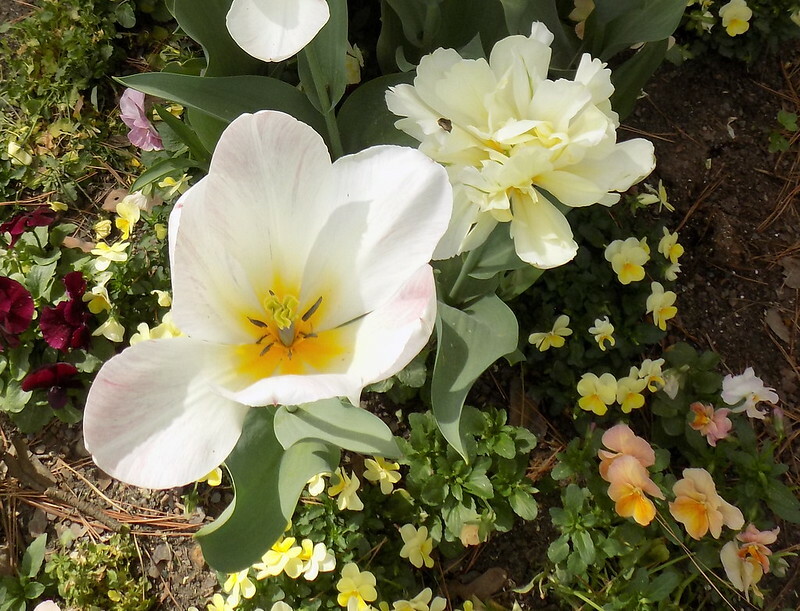 We have gone back to spring temperatures and there is a surprising number of blooms considering how many started too early and were killed by cold. 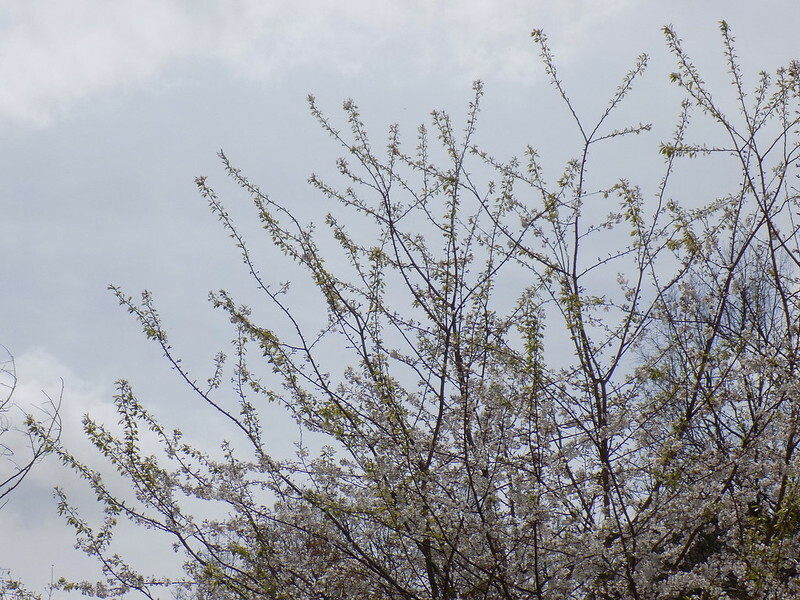 I love delicate blossoms on trees. 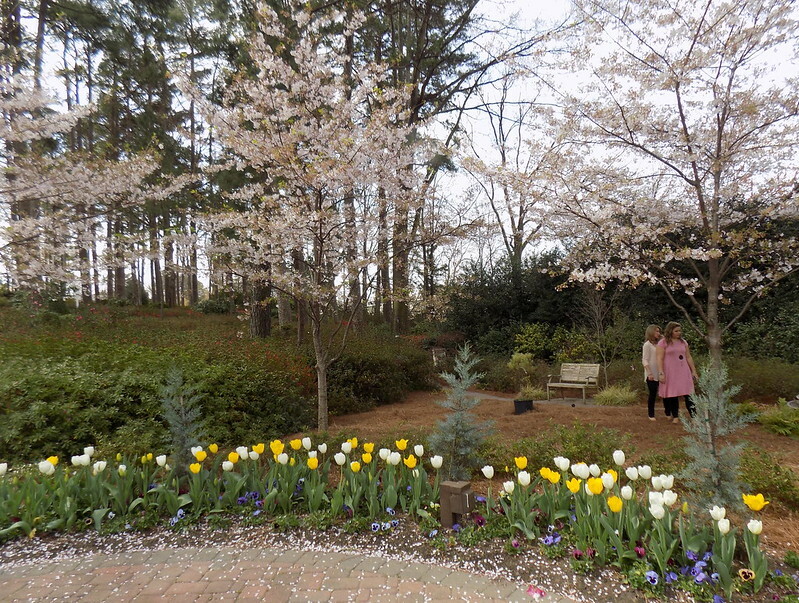 Bill and I went to the WRAL Azalea garden today. 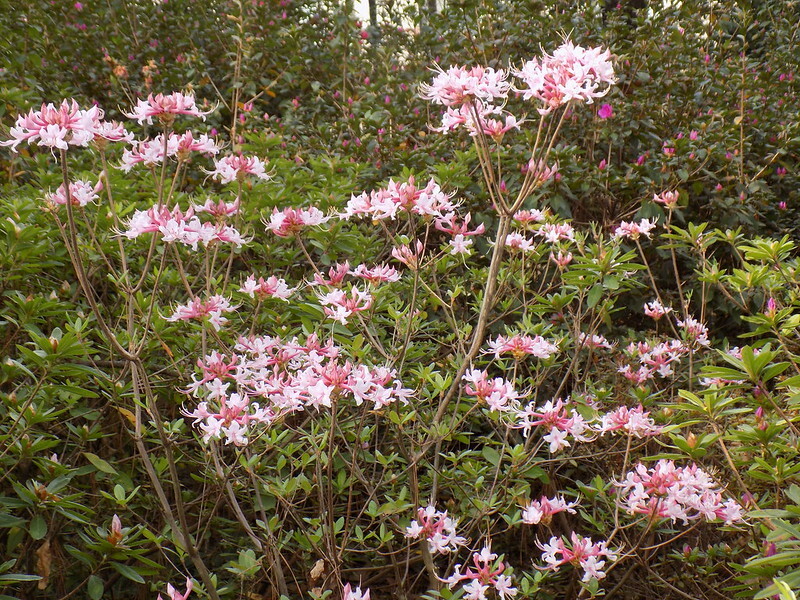 As expected many of the azaleas bloomed too early and lost their buds and blooms before it was time to bloom. 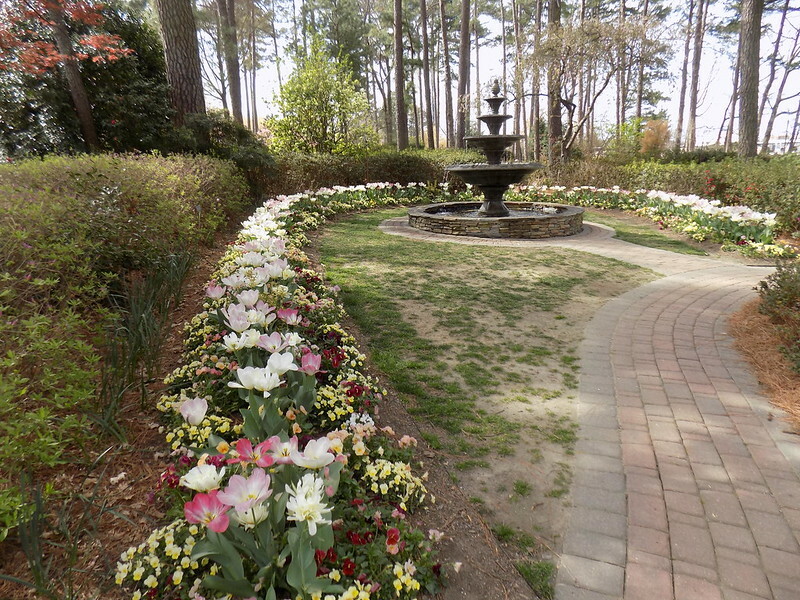 There were so many other flowers in bloom, I didn't miss the sparse azaleas. Normally this would still be too early for azaleas so, as I mentioned last week and probably the week before, it has been a strange year. 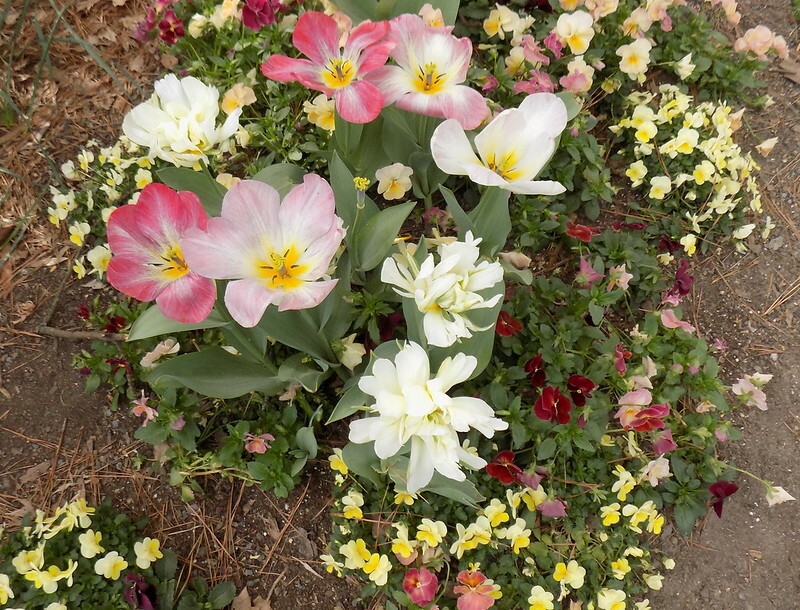 Tulips are among my favorite flowers. I also love violets and pansies and they are starting to bloom. I love the way spring petals look after dropping to the ground. 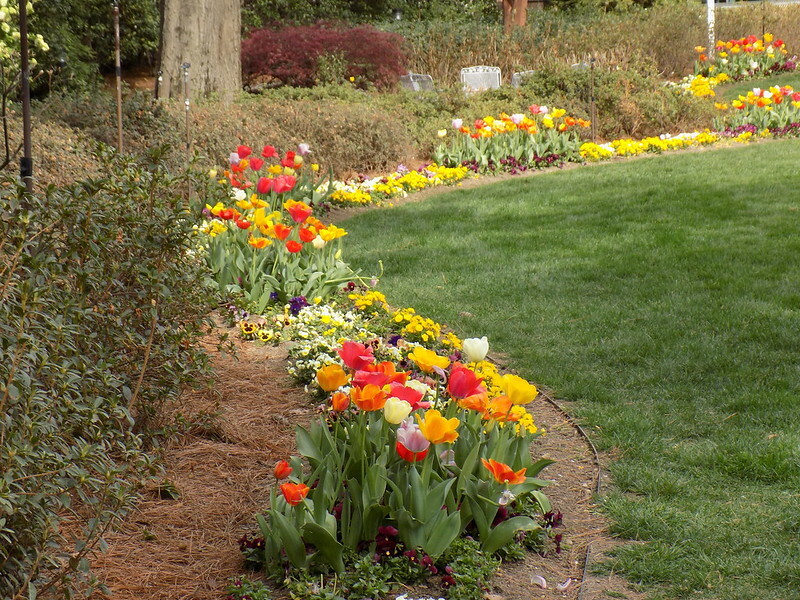 Overall it looks like this will be a beautiful spring. Considering we had a beautiful early spring in winter I've been enjoying spring intermittently for over a month already. 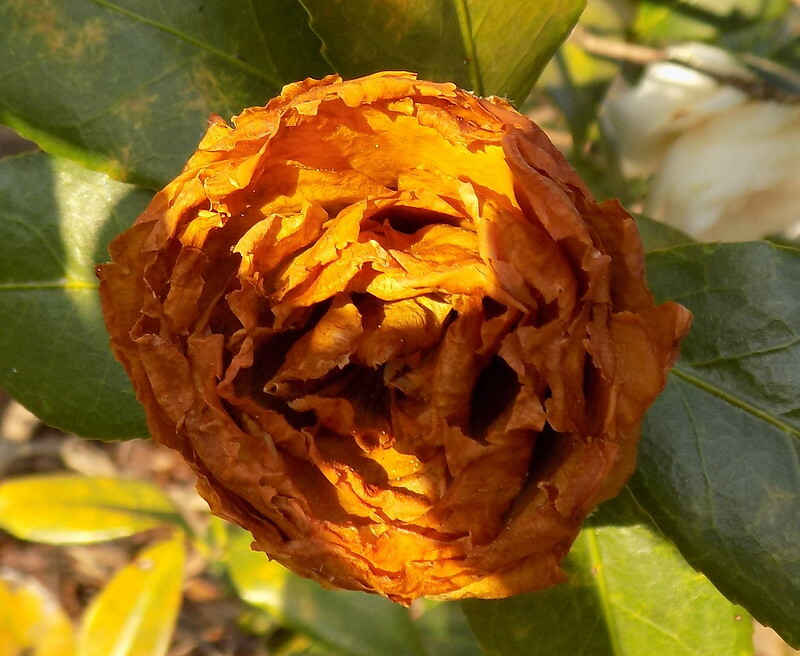 Oh, the bronze camellia dipped in sunlight looks beautiful. Spring is being coy this year and many normally optimistic plants are cautious for good reason in my neck of the woods where there has been an unusual amount of snow. 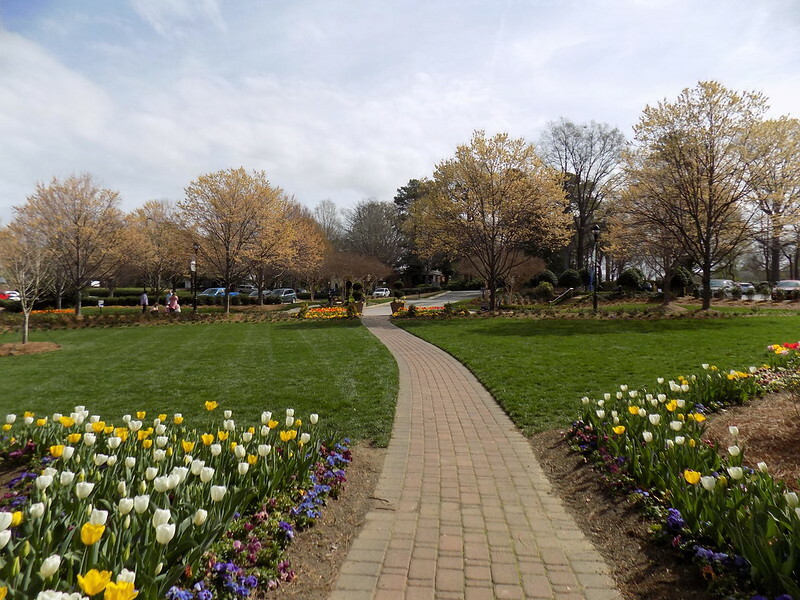 Luckily, the crocuses and daffodils appear unfazed by it all. Spring has really sprung! How lovely. 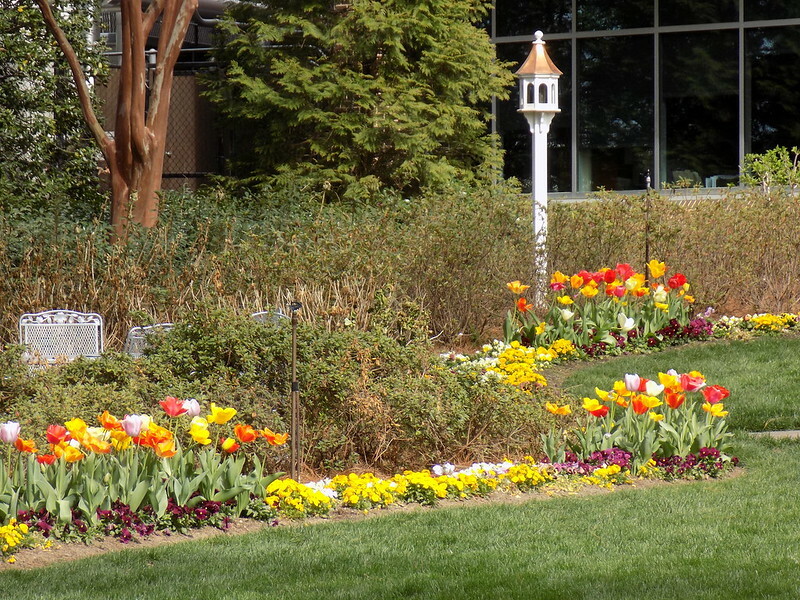 That beautiful garden place doesn't look as if a single thing could be missing - it is just beautiful. 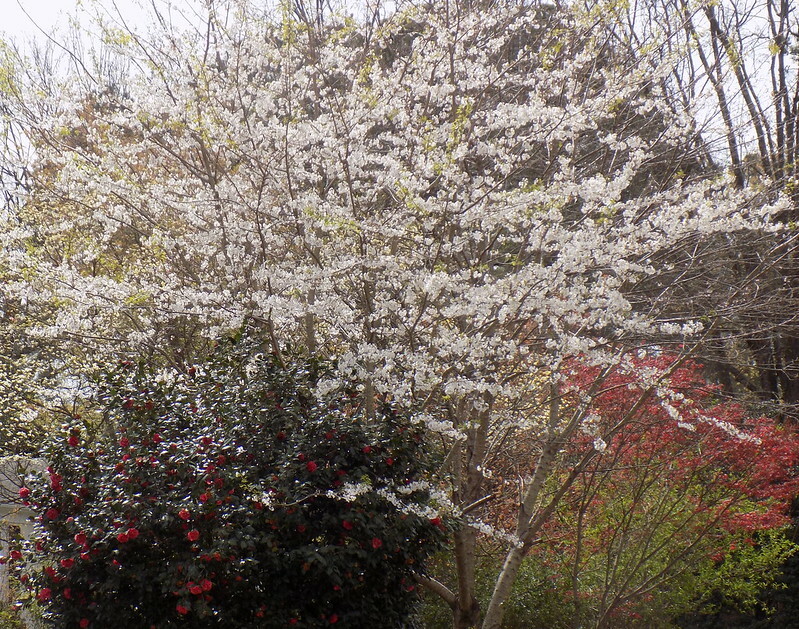 (I really wish I could just bounce up there for a few days to get my spring flowr fix.) 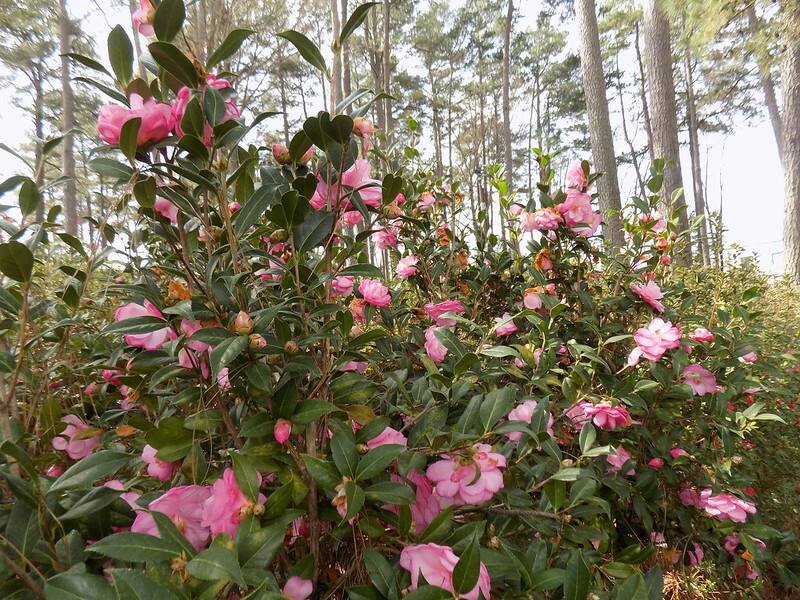 It is too bad about the spring flowers that got harmed by the weird weather... but that camellia photo is an absolute work of art!! Just stunning.